More than a laugh out loud travel memoir, Dear Bob and Sue: Season 2 will bring to life the joy of discovery, the pure satisfaction of accomplishment, and the humor that comes with experiencing new places and activities. Season 2 is the follow-up to Dear Bob and Sue, a charming and sometimes irreverent chronicle of a middle-aged couple as they visit each of the country’s fifty-nine national parks, testing their mettle and stretching their endurance. In their second book of the series, follow Matt and Karen as they work their way around the western United States discovering some of our most beautiful public lands, hidden gems, and revisiting a few of their favorite national parks. This book is not a hiker’s guide, though you will feel as if you are right there with them on some of the most amazing trails the country has to offer. Through a series of emails written to their friends, Bob and Sue, the couple brings the reader along on their adventures, sharing their experiences as they hike the lesser known parks and national monuments. By the end of the book, you’ll be itching to drag out your hiking boots, dust off your tent, and discover the culinary joy of eating freeze-dried meals next to a campfire. 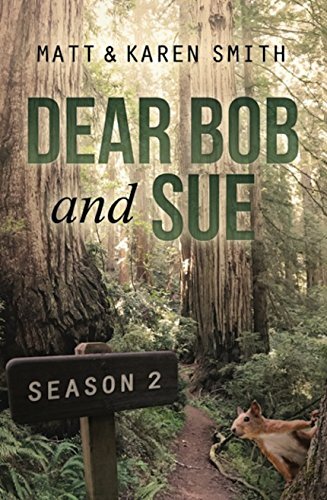 If you are looking for a fun and easy read that takes you to new and exciting places, the Dear Bob and Sue series is for you.